Welcome. I am excited to present the first of what I hope will be many useful and timely posts covering issues arising at the crossroads of artificial intelligence technology and the law. My goal with this blog is to provide insightful discussion concerning the legal issues expected to affect individuals and businesses as they develop and interact with AI products and services. I also hope to engage with AI thought leaders in the legal industry as new AI technology-specific issues emerge. Join me by sharing your thoughts about AI and the law. If you’d like to see a particular issue discussed on these pages, I invite you to send me an email. Much has already been written about the promises of AI and its ever-increasing role in daily life. AI technologies are unquestionably making their presence known in many impactful ways. Three billion smartphones in use worldwide, and many of them use one form of AI or another. Voice assistants driven by AI are appearing on kitchen countertops everywhere. Online search engines, powered by AI, deliver your search results. Select like/love/dislike/thumbs-down on your music streaming or news aggregating apps empowers AI algorithms to make recommendations for you. Today’s tremendous AI industry expansion, driven by big data and enhanced computational power, will continue at an unprecedented rate in the future. We are seeing investors fund AI-focused startups across the globe. As Marc Cuban predicted earlier this year, the world’s first trillionaire will be an AI entrepreneur. Not everyone, however, shares the same positive outlook concerning AI. Elon Musk, Bill Gates, Stephen Hawking and others have raised concerns. Many foresee problems arising as AI becomes ubiquitous, especially if businesses are left to develop AI systems without guidance. The media have written about displaced employees due to autonomous systems; bias, social justice, and civil rights concerns in big data; AI consumer product liability; privacy and data security; superintelligent systems, and other issues. Some have even predicted dire consequences from unchecked AI. But with all the talk about AI–both positive and negative–businesses are operating in a vacuum of laws, regulations, and court opinions dealing directly with AI. Indeed, with only a few exceptions, most businesses today have little in the way of legal guidance about acceptable practices when it comes to developing and deploying their AI systems. 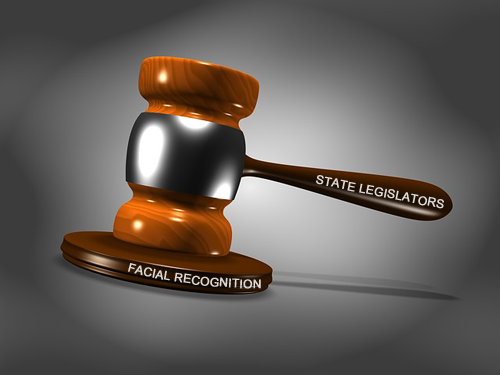 While some advocate for a common law approach to dealing with AI problems on a case-by-case basis, others would like to see a more structured regulatory framework. I look forward to considering these and others issues in the months to come.